My recent work has been inspired by East Asian imagery, specifically Korean. I currently work in traditional media (paper and ink), but reinterpret them into multi-dimensional or sculptural forms. 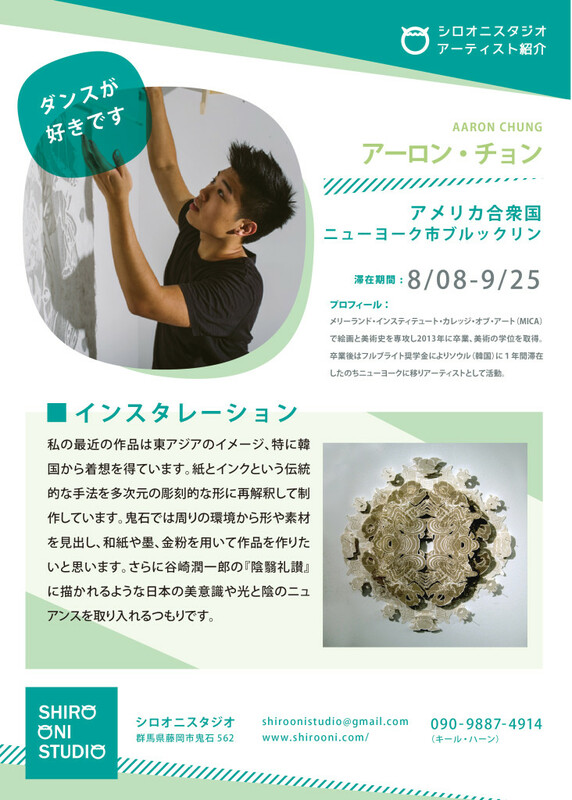 At Onishi, I will pull images and materials from the surrounding environment and make works using washi-paper, sumi-ink, and gold pigment. In addition, I will incorporate the Japanese aesthetic sensibility and nuance of light and shadow as described in Jun’ichiro Tanizaki’s essay In Praise of Shadows.